In January, at the height of antigovernment protests across the country, authorities slowed down internet connections and at times completely blocked access to servers and data outside Iran (see Restrictions on Connectivity). Telegram and Instagram were blocked by authorities in response to the protests. While both blocks were lifted by mid-January, Telegram was permanently blocked in April for being a threat to national security (see Blocking and Filtering). New regulations entitled “Policies and Actions Regarding the Organization of Social Media Messaging Applications” released in August 2017 outline legal activities for messaging apps operating in Iran and formalize previous demands that foreign messaging apps work with Iranian authorities to obtain licenses and move their data centers inside Iran (see Legal Environment). Though prosecutions for online activities led to shorter prison sentences compared to previous years, six admins of reformist-aligned Telegram channels were sentenced to prison terms ranging from two to five years in August 2017. Several other Telegram admins were arrested for various activities, using charges such as encouraging protests or promoting homosexuality (see Prosecutions and Arrests for Online Activities). Internet freedom remained highly restricted in Iran over the past year due to the disrupting of internet connectivity and blocking of social media platforms in response to antigovernment protests. In late December 2017, protesters took the streets in the city of Mashhad to vocalize discontent with the country’s flagging economy and the soaring prices of basic goods. Within a week, the protests spread to several other cities, becoming the largest expression of dissatisfaction with the government since the nationwide protests against the 2009 presidential election results. In response, authorities throttled and at times shut down mobile and internet networks; they also blocked access to the messaging app Telegram and photo-sharing platform Instagram for at least one week. Later in April 2018, the government blocked Telegram completely under the pretext of national security; hard-liners within the Islamic regime argued that the platform supported terrorists and other dangerous groups. Telegram was then the most widely used social media and messaging app in the country, with an estimated 40 million users. Iranians employed the app to follow popular “channels,” including those of local and foreign news organizations whose websites are blocked in the country. Following the ban, Iranian authorities pursued a policy to promote and financially support domestic messaging apps. Meanwhile, the long-standing filtering of the Chinese messaging app WeChat was reportedly lifted. Authorities continued to arrest numerous individuals for their online activities in the past year, though convictions led to shorter prison sentences compared to previous years. Four Telegram admins were arrested in September 2017 in Baneh, Kurdistan Province, for allegedly encouraging protests. Six other Telegram admins were reportedly charged in September for “promoting homosexuality.” Separately, six admins of reformist-aligned Telegram channels who were arrested around the May 2017 presidential election were sentenced to prison terms ranging from two to five years in August 2017. Most improvements to internet freedom since the election of President Hassan Rouhani in 2013 relate to access and the information and communication technology (ICT) market. The ICT Minister announced in July 2017 new plans for the country’s national information network (SHOMA) to include the development of a national wireless network and an expansion of IP backbone projects, among other plans. Authorities slowed down internet connections and at times completely blocked access to servers and data outside Iran during antigovernment protests in January 2018. Both Ayatollah Ali Khamenei, Iran’s supreme leader, and the parliament have warned the administration against increasing bandwidth before the country’s national information network (SHOMA) is ready.3 SHOMA was defined in a 2011–16 development plan as “an IP-based internet supported by data centers that are completely undetectable and impenetrable by foreign sources and allow the creation of private, secure intranet networks.”4 In addition to protecting against foreign cyberattacks like the “Stuxnet” malware virus, identified in 2010,5 SHOMA is meant to improve internet access while moving much of the content and websites visited by Iranian users to domestic servers, where traffic can be closely monitored and censored by the authorities. However, a move to prioritize local content through differential pricing threatens net neutrality, the principle that providers should not discriminate against certain types of content or services. In January 2017, Vaezi ordered internet service providers (ISPs) to implement a new “National Information Network Tariff” whereby certain domestic traffic is priced at a 50 percent discount.13 The discount initially applied when users accessed a list of 500 websites compiled by the Communications Regulatory Authority (CRA). The nongovernmental organization Small Media noted that the list favored semiofficial and government-run news sites at the expense of other, more popular news sites. Some ISPs also discounted access to websites that did not feature on the list. The development of SHOMA and the state’s control over the internet backbone provides the government with the ability to throttle foreign connection speeds during politically sensitive periods without crippling critical services. The telecommunications industry is tightly controlled by the government or related entities. Direct access to the internet via satellite is only permitted for certain institutes and is prohibited for personal use. TCI owns the Data and Communication Company (DCC), the country’s main ISP. The country’s top internet policy body is the Supreme Council of Cyberspace (SCC). The council was established through a 2012 decree from the supreme leader and is composed of 17 representatives from government institutions and 10 members appointed by Khamenei.31 It is intended to provide a centralized point for policymaking and the regulation of Iran’s virtual space, effectively minimizing the roles of the executive, legislative, and judicial branches of the government and bringing internet policy under Khamenei’s direct control. Observers believe this reflected his dwindling trust in then president Mahmoud Ahmadinejad to lead such an important policy area. Significant restrictions on content have been in place since 2009. Major international platforms like Facebook and Twitter remain blocked, and although newer social media and communication applications have generally been accessible, Telegram and Instagram faced government blocking efforts during the coverage period. Censorship decisions remain highly politicized, with both conservative and reformist news sites suffering censorship for failure to adhere to strict guidelines on coverage of sensitive political, social, and international issues. Self-censorship is pervasive, and overt digital activism is limited, though it has increased since the electoral campaigns of 2017. 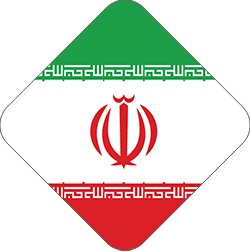 The Iranian authorities restrict access to tens of thousands of websites, particularly those of international news services, the political opposition, ethnic and religious minority groups, and human rights organizations.36Websites are also blocked if they differ from the official doctrine of the state regarding Islam, or from its chosen narrative on domestic or international politics. Frequently censored topics include friction among Iranian political institutions and the 2015 deal with world powers to limit Iran’s nuclear program in exchange for eased economic sanctions. However, after Telegram launched free encrypted voice calling in April 2017, the feature was immediately blocked by all ISPs on an order from the prosecutor general.40 Other voice-over-IP services have not been blocked. Telegram messaging functions still worked after the incident, but security forces increasingly arrested reformist Telegram channel administrators and claimed to have remove thousands of “illegal” channels every week (see Content Removal, and Prosecutions and Detentions for Online Activities). Censorship decisions are made by the Committee to Determine Instances of Criminal Content (CDICC), a government body headed by the prosecutor general and consisting of representatives from 12 state institutions. In theory, decisions are made on the basis of the 2009 Computer Crimes Law (CCL), which outlines a broad range of banned content, from insulting religious figures and government officials to distributing pornographic content and the use of illegal circumvention tools.52 In practice, little information is available about the inner workings of the committee, and censorship decisions are often arbitrary and not transparent. Iranian authorities currently employ a centralized filtering system that can effectively block a website within a few hours across the entire network in Iran. Private ISPs are forced to either use the bandwidth provided by the government or route traffic containing site-visit requests through government-issued filtering boxes developed by software companies inside Iran. The filtering boxes inspect URL requests submitted by users for banned text strings—either keywords or domain names—and block access accordingly. This method only limits access to content retrieved through unencrypted HTTP connections. Individual pages remain available over an encrypted connection (HTTPS), which disguises the banned text, requiring censors to block the entire site in order to restrict access to specific content. Officials continue to call for an “intelligent filtering” system, using deep-packet inspection (DPI) to allow them to block specific pages, but more services have enabled HTTPS browsing, making them resilient to keyword filtering. This has done little to dampen the enthusiasm for intelligent filtering, with Vaezi announcing a further investment of US$66 million in the program in 2015–16.53 He also suggested that the country may transfer more censorship authority to ISPs as part of the next phase of SHOMA development.54 The move to empower ISPs may actually result in more repressive policies, given that the IRGC is a dominant owner in the ISP market, whereas reformists have some representation in the existing state policymaking structure for content management. Self-censorship is extensive, particularly on political matters. Widespread arrests and harsh sentences meted out to journalists, activists, and ordinary citizens, as well as perceptions of pervasive surveillance, serve to deter unfettered expression online. Many journalists and bloggers abandoned their online activities or used pseudonyms after the crackdown on 2009 protests linked to that year’s disputed presidential election, resulting in a palpable drop in the amount of original content produced by users based inside the country. The situation slightly improved after Rouhani assumed the presidency in 2013, especially among reformist journalists. Nevertheless, the same restrictions remain in place, and journalists continue to be prosecuted. The majority of independent content producers lack the financial resources to operate in such a hostile environment. The online advertising market in Iran is exclusively limited to apolitical and progovernment websites. Although the United States adjusted its sanctions against Iran after the 2015 nuclear deal to enable American internet companies to provide services to Iranian users, Google still does not allow an advertising campaign to target Iran as a country,66 disadvantaging domestic content producers as well as content producers in the diaspora seeking to cultivate an audience inside Iran. Any Iranian-linked company or individual that wishes to use Google AdSense to monetize content must apply for a specific license in a process that is onerous for the majority of Iranian content producers. Twitter continues to be employed by Iranian activists to raise the profile of political prisoners, minorities facing discrimination, and human rights issues. On December 30, 2016, over 30,000 Twitter users from around the world used the hashtag #SaveArash to voice their support for imprisoned civil rights advocate Arash Sadeghi, who was 68 days into a hunger strike.75 He remained behind bars as of 2018. Despite hopes that the 2015 nuclear agreement might lead to a more open climate for internet users, hard-liners in the regime have responded to the deal by cracking down on criticism and “Western infiltration.” Authorities have stepped up their monitoring of social media and technical attacks against opposition voices. While President Rouhani’s cabinet has had some success in shielding certain mobile apps from censorship, there have been no changes to legal restrictions on internet freedom, and users continue to be sentenced to long prison terms for political speech on social media. Iran remains an extremely dangerous environment for internet users. Numerous laws tightly restrict online speech and allow harsh punishments for those who deliberately flout these constraints or inadvertently draw the ire of authorities. The constitution provides for limited freedom of opinion and expression, but a variety of haphazardly enforced statutes limit these rights in practice. The 2000 Press Law, for example, forbids the publication of ideas that are contrary to Islamic principles or detrimental to public rights, none of which are clearly defined. The government and judiciary regularly invoke this and other vaguely worded legislation to criminalize critical opinions. Authorities arrested numerous individuals for their online activities in the past year, though convictions led to shorter prison sentences compared to previous years. As Telegram grew in prominence in Iran, security forces turned their attention toward the administrators of the communication app’s various channels, which allow users to post public messages to large groups. This was particularly notable around the May 2017 presidential election, when security forces arrested 12 admins of reformist-aligned Telegram channels; six of them were charged and sentenced to prison terms ranging from two to five years in August 2017.85 Security forces also coerced admins into deactivating or deleting their channels. It remains unclear how or how thoroughly the authorities can monitor the content of messages on foreign social networks, given that some apps encrypt their messages. However, all platforms and content hosted in Iran are subject to arbitrary requests by various authorities to provide more information on their users. Local platforms do not guarantee the kind of user protection offered by some of their international counterparts, which may explain users’ hesitancy to adopt them. The Iranian government has continued its cat-and-mouse game against the use of circumvention tools, the legal status of which is also relatively opaque. The use of VPNs does not appear to be criminalized, unlike the selling or promotion of VPN services. 2 The Iran Project, “Minister: Iran Internet bandwidth to increase to 12,000 Gbit/s,” April 17, 2017, http://theiranproject.com/blog/2016/04/17/minister-iran-internet-bandwidth-increase-12000-gbits/. 3 Collin Anderson, “How Iran is Building Its Censorship-Friendly Domestic Internet,” Wired, September 23, 2016, https://www.wired.com/2016/09/how-iran-is-building-its-censorship-friendly-domestic-internet/. 4 Mahsa Alimardani, “Iran Declares ‘Unveiling’ of its National Intranet,” Global Voices Advox, September 2, 2016, https://advox.globalvoices.org/2016/09/02/iran-declares-unveiling-of-its-national-intranet/. 5 David E. Sanger, “Iran Fights Malware Attacking Computers,” New York Times, September 25, 2010, http://www.nytimes.com/2010/09/26/world/middleeast/26iran.html. 7 “An increase of 4 times the traffic of information within the country,” Mehr News Agency, May 25, 2017, http://bit.ly/2fOB4h1. 8 Small Media, Iranian Internet Infrastructure and Policy Report: January 2016, https://smallmedia.org.uk/news/iiip-january-2016. 9 “ICT Minister unveils 1052 project in Kermanshah province.” Mehr News Agency, http://bit.ly/2rPnyLB. 11 Hamed Jafari, "MTN to Invest $295 Million In Iranian Net," Techrasa, May, 14 2017, http://bit.ly/2rqo9Ca. 12 "UPDATE 1-South Africa's MTN To Invest $295 Mln In Iranian Net Broadband Network," Reuters, May 8, 2017, http://bit.ly/2pKX7ck. 13 “Cost of using SHOMA is half of the Internet’s cost” [Farsi] Mehr News Agency, 24 January 2017, http://bit.ly/2qsr6oh. 14 Notification to two operators for non-implementation of the National Information Network Tariff,” Mehr News, May 15, 2017, http://bit.ly/2yVTFfO. 15 Center for Human Rights in Iran, “Iran’s Mobile and Internet Service Providers Offer Discount For Limiting Usage to State-Approved Websites,” May 5, 2017, https://www.iranhumanrights.org/2017/05/irans-mobile-and-internet-service-providers-offer-discount-for-limiting-usage-to-state-approved-websites/ . 20 Small Media, Iranian Internet Infrastructure and Policy Report: July 2015, https://smallmedia.org.uk/media/articles/files/IIIP_Jul15.pdf#page=9, pg. 9-11. 21 Sreberny and Khiabany, Blogistan: The Internet and Politics in Iran, (London: IB Tauris, 2010), pg. 5. 24 “77 million mobile phones in hands of Iranian” Mehr News Agency, August, 31, 2016, http://bit.ly/2qIzq2X. 25 Steve Stecklow, “Exclusive: Iranian cell-phone carrier obtained banned U.S. tech,” Reuters, June 4, 2012, http://www.reuters.com/article/us-iran-mtn-sanctions-idUSBRE8530SO20120604. 26 Communications Regulatory Commission of Iran, official website, http://bit.ly/1Lum12y. 27 “The entry of new operators into the internet market from September,” [Farsi] Mehr News, http://bit.ly/2eRXs3Y. 28 “Launch of control system for operators of internet usage,” [Farsi], Itmen, http://www.itmen.ir/index.aspx?pid=99&articleId=88741. 29 “Internet access is provided in the aircraft, Fiber optic network modernization” [Farsi] Mehr News, http://bit.ly/2eMxFL2. 30 “Start of Internet Directory to 37,000 village,” [Farsi] Mehr News, http://bit.ly/2eRX2L2. 31 For a list of current members of the Supreme Council of Cyberspace, see https://smallmedia.org.uk/news/filterwatch-august-2017. 32 “Labor system remained pending at the Supreme Council of Cyberspace,” [Farsi] Mehr News, http://bit.ly/2ebyRGm. 33 “Zarghami criticized the lack of meetings of the Supreme Council of Cyberspace,” [Farsi] Itmen, http://itmen.ir/index.aspx?pid=99&articleId=85338. 34 “The Supreme Leader complains about the Supreme Council of Cyberspace and Communications Ministry,” [Farsi] Alef, http://alef.ir/vdcamwnea49nmu1.k5k4.html?350258. 36 Small Media, “April 2016,” Filterwatch, https://smallmedia.org.uk/media/articles/files/IIIP_APRIL16.pdf. 37 Maria Xynou, Arturo Filastò, Mahsa Alimardani, Sina Kouhi, Kyle Bowen, Vmon, Amin Sabeti, “Internet Censorship in Iran: Network Measurement Findings from 2014-2017,” OONI, September 28, 2017, https://ooni.torproject.org/post/iran-internet-censorship/. 39 Golnaz Esfandiari, “Iranian Officials Trade Barbs in Dispute Over Internet Censorship,” Radio Free Europe / Radio Liberty, July 27, 2017, https://www.rferl.org/a/iran-telegram-app-internet-censorship-durov/28643317.html. 40 “Telegram Calls in Iran,” Telegram, April 17, 2017, http://telegra.ph/Telegram-Calls-in-Iran-NEWS. 41 Small Media, “December 2017”, Filterwatch, https://smallmedia.org.uk/media/articles/files/IIIP_Dec2017.pdf. 46 See “The Department of Communications Denied Blocking Instagram Live,” Donya-e-Eqtesad, http://bit.ly/2yHfDST. 47 “Iran’s Judiciary Blocks Instagram’s Live Video Service Weeks Before May 2017 Elections”, Center for Human Rights in Iran, April 28, 2017, http://bit.ly/2qPVXcO. 48Small Media, “November 2017”, Filterwatch, https://smallmedia.org.uk/news/filterwatch-november-2017. 49 “An informed source: Memari Nes was filtered on judiciary’s order” Fars News Agency, 31 August 2017, http://bit.ly/2ruFHAv. 50 See Small Media 2016 Annual Report, https://smallmedia.org.uk/media/articles/files/AnnualReport2016.pdf. 52 “Islamic Republic of Iran: Computer Crimes Law,” Article 19, 2012, https://www.article19.org/data/files/medialibrary/2921/12-01-30-FINAL-iran-WEB.pdf, and “12 members of Committee in Charge of Determining Unauthorized Sites,” [in Farsi] Weblognews, December 16, 2009, http://bit.ly/1Owwpcu. 53 “200 million dollars allocated for smart filtering,” [Farsi] Mehr News, http://bit.ly/2eGWJ5o. 54 “Launch of the National Information Network in 1395,” [Farsi] Mehr News, http://bit.ly/1ROD4Ot. 55 See “Khatami’s video message was removed from Rouhani’s Telegram channel with an order of the prosecutor’s office,” Radio Farda, November 16, 2016, https://www.radiofarda.com/a/f7-khatami-support-clip-removed-from-rohani-telegram-channel/28487695.html, and https://twitter.com/ICHRI_Fa/status/863836748908027906. 56 “Iran: Arrests and Intimidation of Telegram Administrators and Journalists Ahead of the Elections” Article 19, March 17 2017, http://bit.ly/2qbZzo9. 57 Small Media, “March 2017,” Filterwatch, https://smallmedia.org.uk/news/iiip-march-2017; Golnaz Esfandiari, “Iranian Officials Trade Barbs in Dispute Over Internet Censorship,” RFE/RL, July 27, 2017, https://www.rferl.org/a/iran-telegram-app-internet-censorship-durov/28643317.html. 59 See “11.08.2015 – Conservative weekly closed for third time,” in Press freedom violations recounted in real time January-December 2015, Reporters Without Borders, https://rsf.org/en/news/press-freedom-violations-recounted-real-time-january-december-2015; Rick Gladstone, “Iran Editor Is Charged With Defying Ban on Covering Ex-President,” New York Times, December 8, 2015, http://www.nytimes.com/2015/12/09/world/middleeast/iran-editor-is-charged-with-defying-ban-on-covering-ex-president.html. 60 Small Media, “May 2017”, Filterwatch, https://smallmedia.org.uk/news/filterwatch-may-2017. 62 “How Iran’s Cyber war is directed?” BBC Persian, February 21, 2012, http://bbc.in/2xSO6Sp. 63 “The fifth cyber Jihad Festival was extended to the end of August”, Shabestan News Agency, 9 July 2016, http://bit.ly/2zpuSQB. 64 “Creation of Iranian messenger is part of ICT ministries plans” Sobhaneh Online, July 23 2016, http://bit.ly/2raOUyk. 65 “Who's at the controls of Iran's bot army? BBC News, March 6, 2016, http://bbc.in/1pKZI18. 66 “Google Traffic is here but what does it maen for Iran?” Techrasa, December 26, 2015, http://techrasa.com/2015/12/26/google-traffic-mean-iran/. 67 IIIP November 2016, Small Media, https://smallmedia.org.uk/news/iiip-november-2016. 70 “The train of election campaigns on cyberspace’s track” Mehr News Agency, May 7, 2017, http://bit.ly/2rw7MHT. 71 Small Media, “#IranVotes2017: Analysing the 2017 Iranian Presidential Elections through Telegram, Twitter and Instagram”, https://smallmedia.org.uk/media/projects/files/IranVotes2017.pdf. 75 “Huge Twitter Storm in Support of Imprisoned Iranian Activist on Hunger Strike” Center for Human Rights in Iran, December 30, 2016, http://bit.ly/2q6Qlxs. 78 Islamic Republic of Iran: Computer Crimes Law Article 19, January 30, 2012, www.article19.org/data/files/medialibrary/2921/12-01-30-FINAL-iran-WEB.pdf. 79 Rohollah Faghihi, “Can Rouhani’s Citizens’ Rights Charter be enforced?” Al-Monitor, December 20, 2016, https://www.al-monitor.com/pulse/en/originals/2016/12/iran-rouhani-citizens-rights-charter-conservative-criticism.html. 80 IIIP January 2017, Small Media, http://bit.ly/2rOsq2n. 81 “Charter on Citizens’ Rights” available at http://tinyurl.com/y9bn4e4e. 93 “Former BBC Persian journalist ‘detained in Iran’,” BBC News, February 4, 2016, http://www.bbc.co.uk/news/world-middle-east-35492065. 96 Mahsa Alimardani, “The Arrest of Arash Zad, Iran’s Sart-Up Kid,” Global Voices, September 23, 2015, https://advox.globalvoices.org/2015/09/23/the-arrest-of-arash-zad-irans-start-up-kid/. 97 Iran’s Telegram Registration Requirement Widens Governmental Snooping Powers, Center for Human Rights in Iran, January 2017, http://bit.ly/2qQBarE. 98 “April 2017,” Filterwatch, Small Media, https://smallmedia.org.uk/news/filterwatch-april-2017. 99 “Iran orders social media sites to store data inside country,” Reuters, May 29, 2016, http://www.reuters.com/article/internet-iran-idusl8n18q0in. 100 Adario Strange, “Iran's new data policy could mean end of local access to Telegram app,” Mashable, May 31, 2016, http://mashable.com/2016/05/31/iran-telegram-app/#k3nf4Sy43mqY. 102 Islamic Republic of Iran: Computer Crimes Act, Article 19, 2012, https://www.article19.org/data/files/medialibrary/2921/12-01-30-FINAL-iran-WEB%5B4%5D.pdf. 103 “April 2016,” Filterwatch, Small Media, https://smallmedia.org.uk/media/articles/files/IIIP_APRIL16.pdf, pg. 7-9. 104 “A New Round of Intimidation, Arrests, and Prosecution of Social Media Users in Iran,” International Campaign for Human Rights in Iran, June 14, 2015, https://www.iranhumanrights.org/2015/06/intimidation-arrests-social-media-users/. 105 “Cyber army exercises held,” [Farsi] Itmen, http://www.itmen.ir/index.aspx?pid=99&articleid=82120. 106 “Cyber Police launches gaming unit,” [Farsi] Mehr News, http://bit.ly/2dXpvAe. 107 Lorenzo Franceschi-Bicchierai, “The Iranian Hacking Campaign to Break into Activists’ Gmail Accounts,” Motherboard, August 27, 2015, http://motherboard.vice.com/read/inside-the-iranian-hackers-campaign-to-break-into-activists-gmail-accounts. 111 “Kittens: Iranian actor resurfaces with malware for mac,” Iran Threats, February 2017, http://bit.ly/2krE9mt. 112 “Hackers Exploit Android Phone Security Flaw to Target Activists,” Centre for Human Rights in Iran, August 31, 2016, http://tinyurl.com/y7yy495k.